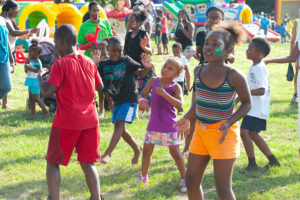 (Camden, NJ) – The Freeholder Board’s Summer Metro Carnival Night which was originally scheduled for Friday, July 14, has been rescheduled for Aug. 4 beginning at 5:30 p.m. These events give residents to meet their local officers and interact with them in a fun and entertaining setting. Camden County Police Department officers, city and county officials, and neighborhood residents will be on hand for an evening of family fun, including food, refreshments, games and free amusements. For more information on the Camden County Police Department and its other initiatives in the community, visit www.camdencountypd.org.